After months and months or even years of house shopping, finding the right home that works for your budget and overall life situation is truly something worth celebrating. Whether you’re nestled in a modest abode with your first child on the way or you’ve recently settled on a six-bedroom home to comfortably situate your entire family, it’s fair to say that finding (and agreeing) on the right home is a tall order. If you’re searching for great deals on homeowners insurance coverage, however, that probably means that you’ve closed on a home! After all, you need a home to insure — this is homeowners insurance we’re talking about, after all. With our foundations so heavily rooted in commercial insurance services, you might be wondering, “Why is Bradley’s Insurance so invested in the future well-being and financial protection of my new home? After all, they boast an incredible number of specialized commercial insurance policies!” Well, it is true that our Ottawa insurance brokers started in commercial insurance; however, we have since broadened our insurance scope to include specialized personal insurance services for people just like you. 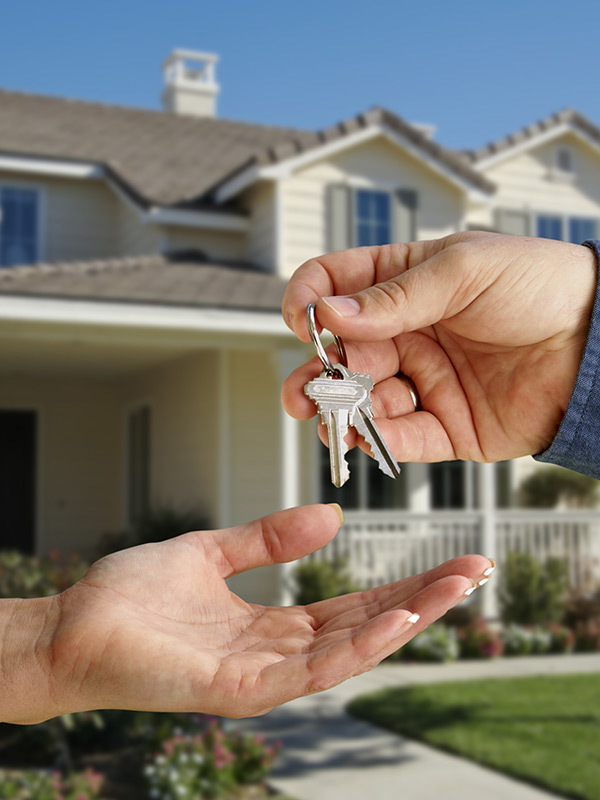 As you can imagine, many of our very own team members are homeowners themselves. That means that we understand not only the ins and outs of the often stressful home shopping and buying process, but also the hassle of finding Ottawa house insurance from a provider that you can trust and rely on to be there whenever you need to file a claim. As insurance brokers, Bradley’s Insurance doesn’t provide insurance policies directly, but rather, our forte is in connecting homeowners with the providers that we work with. Where you live, the type of home that you’re living in, and a myriad of other factors go into determining what the best policy options are for you and your family. Closely working with our valued customers, we treat your search for the best home insurance services just like it’s for ourselves and our own homes. So, if you’re about to or are currently moving into your new home, you’re probably filled with excitement, nervousness, confusion, and maybe even a little stress (okay, probably a good amount of stress). That’s very natural. Perhaps you’ve lived in your home for years, and you’re looking to switch homeowners insurance providers in Ottawa because you’re confident that you can get a better deal. That’s also very natural, and completely valid! Whatever your situation is, the long-term goal of just about any homeowner is the same: to generate equity, and take good care of the property (and hey, maybe raise a healthy family as well). That’s why we’re dedicating this page to a number of tips, tricks, and general information that will help our fellow homeowners take proper care of their domicile. When you consider how much time you will be spending (or are already spending) at home, it only make sense to treat your home like nothing shy of royalty. Feel free to get an instant quote today, read more about how Bradley’s Insurance approaches Ottawa house insurance, or contact us directly with any questions that you have! Let’s get started. Of course, you’re always free to add a few daily maintenance items into the mix, depending on how clean of a home you’d like to have. Here’s what to account for during each household cleaning regimen. 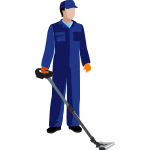 Cleaning your carpets – give them a thorough vacuuming once a week. With hardwood or linoleum flooring, use a large dust-mop combo or a Swiffer-like system to keep things clean. 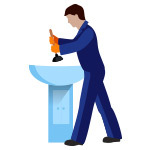 Bathroom maintenance – More or less, your toilet, shower, sinks, and counter surfaces should always stay clean to avoid germ buildup and general illness. 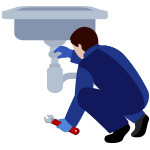 If you have any clogged drains, mineral sediment buildup on a showerhead, or damaged tile grout, repair these as soon as you can — or at least keep an eye out for them. Yardwork and outdoor cleanup (during the summer) – Familiar with the term “curb appeal?” Even if you’re not selling your house (you most likely recently purchased one, right? ), you should still take pride in your ownership and keep your yard and surrounding areas looking clean and well-attended to. This is especially important if you live in a neighborhood with a strict HOA. Kitchen Maintenance – Clean the outside and inside of your appliances with a gentle, all-purpose cleaner. For major appliances like your fridge, washing machine, or dryer, you can alternate which one you’re cleaning and maintaining every week. Additionally, if your garbage disposal is starting to smell bad, simply throw in some ice cubes and lemon rinds. Boom! It’ll be fresh once again. Clean your range hood and filter (if applicable) – A clogged filter is no good; your range hood area is rather susceptible to grease buildup. The longer you neglect to take care of this, the worse the cleaning is going to be. 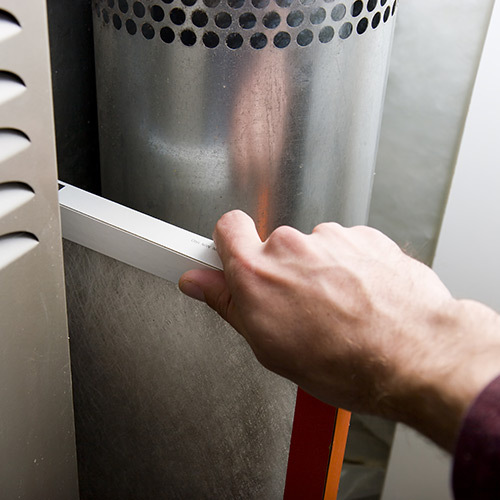 Check, clean, and replace your furnace filter – If you’re on top of your furnace filter situation often enough, then you might not need to do anything. If your filter is mildly clogged, cleaning it can help your HVAC system run more efficiently, thereby saving you on energy costs. Make sure to outright replace the filter as recommended by the manufacturer. Dusting and polishing – Light fixtures should be thoroughly dusted at least once a month, and stainless steel appliances should be wiped down with a specialized stainless steel cleaner at the same frequency. If you or anyone else living with you is sensitive to allergies or dust, consider dusting more frequently than once a month. Check your smoke and carbon monoxide detectors – Ensure that these detectors have functioning batteries, and that they’re functioning in and of themselves. Additionally, take this time to make sure that your fire extinguisher is fully charged and in proper working order. Visually inspect the exterior of your home – At least once a month, look out for things like loose shingles, overgrown trees, insect nests, damaged siding, cracked windows, and so forth. These are hazards and should be addressed as soon as possible, even with a good homeowners insurance policy. 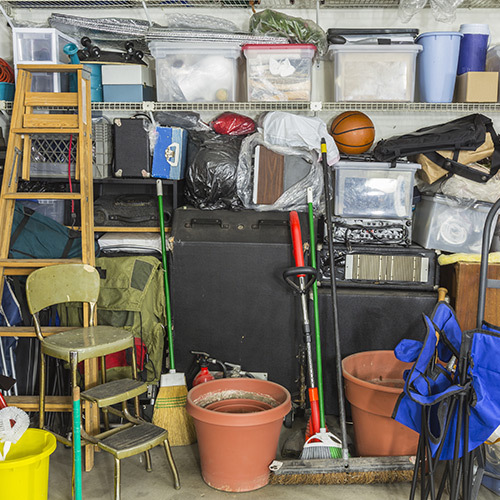 Clean and organize your garage, basement, and/or attic – These areas aren’t as high-traffic as, say, the kitchen, living room, or bedrooms of your home, so they don’t need to be attended to quite as often. Have some fun with it! Dedicate a weekend to getting around to these tasks. Who knows that old treasures you can uncover? Only you can find out by getting to work! Wash your windows (and window screens) – Let that glorious sunshine into your home! This annual task is usually done in the mid-to-late spring, but you can do it at any time of the year. Exterior cleaning (gutters, major pruning, etc.) 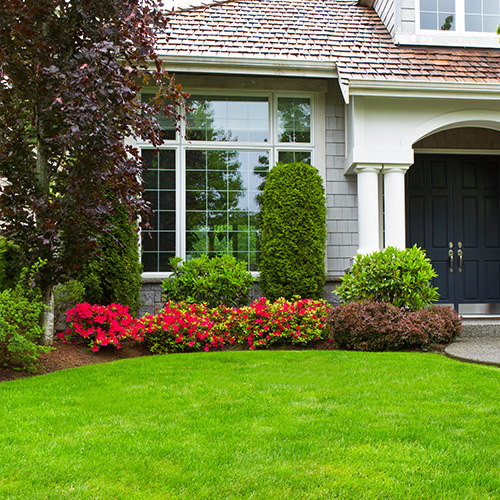 – Aside from standard yardwork, keep things looking nice and tidy outside with some annual exterior cleaning. If things get out of hand, there are professional exterior cleaning companies that can do a great job. Consider an annual home improvement project – Is that one room with a dull paint job bothering you? Is the carpet in the living room well past its prime? If your home is less-than-brand new, don’t let these types of things bother you. Plan out a project, get the necessary materials, and set your mind to it. The feeling of a job well done is just as good as the feeling of looking at the final product itself. Wait…do nothing? Seriously? Yes. Moving is incredibly stressful and taxing and both a mental and physical level. Between wrangling up the kids, getting your items and furniture situated, meeting the neighbors, and the other billion things that accompany purchasing and moving into a new or new-to-you home, you’re going to be exhausted. Give yourself (and your significant other or family members) a break and take a little downtime to process everything. If anything, the only thing that you should be doing is celebrating! Buying a home is a big deal, and this monumental milestone in life should be something that you look back on with positive memories and associations. Enjoy it, and soak in the moment! Once you’ve recuperated from the initial move and you’re beginning to get settled in, this is around the time that you’ll want to alert the post office that you’ve changed your address. In turn, they will forward your mail to your new home. However, keep in mind that you should still change your address on all of your important accounts like your credit cards, bank accounts, insurance services, various memberships, and so forth. From a busted gas line to burst water pipes, not knowing how to shut off these utilities could really exacerbate an emergency situation. It doesn’t take that long to get familiar with where your shut-offs are, and they could potentially save you and your family’s life. It’s important to trust people, but it’s also important to be safe and secure. Who knows who has copies of keys to your current locks? Eliminate the possibility of an unwanted intruder entering with a key by getting your locks changed. An uninsured home means that you’re putting yourself in a risky position where you’re not sure what’s going to happen. Whether you’ve purchased a brand new home or you’re moving into an older home that you’ve purchased, don’t take any chances. Working with Bradley’s Insurance provides you with the peace of mind that you and your family are protected with the right homeowners insurance services. Contact Bradley’s Insurance Today To Get Started! Don’t wait for Ottawa house insurance to come to you. Instead, reach out to Bradley’s Insurance home and auto experts. We’ll work directly with you to find the perfect policy options that meet you and your family’s needs. Visit here to begin!